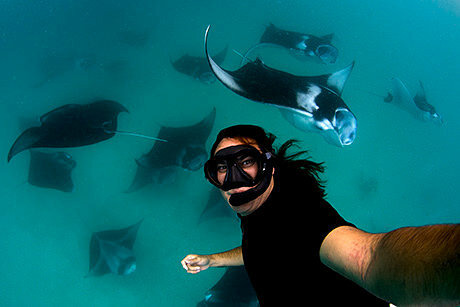 Carlos is an accomplished underwater photographer that travels around the world in search of the ultimate image. 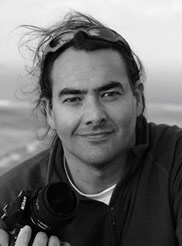 His photographs and articles have been published in many countries and used for advertising by major international companies, like ATT, WWF and BBC. 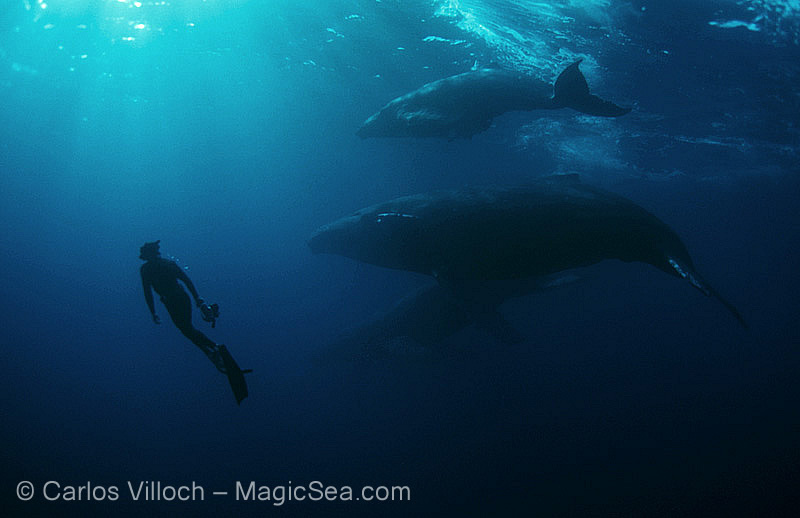 His award winning images have been used in more than 80 front covers and displayed in many museums and Aquariums, as well as prized in the most prestigious underwater photography competitions. In the 90's he left his office job as computer scientist in UK, went to the Caribbean and worked as scuba instructor, dive guide, camera man and photographer, sharing his love for the sea with others through his work and images. 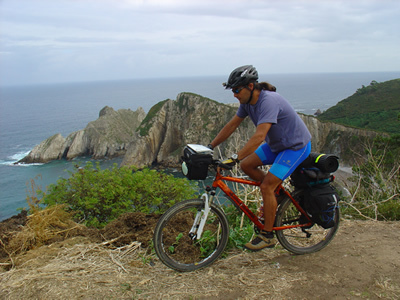 During the last few years Carlos has lived in the Cayman Islands and Australia. Both places are well known for their execelent diving and rich marine life, which has given him the unique opportunity to build up one of the most diverse underwater photo collections. In his files there are all kind of subjects, from the tiny Pigmy Seahorse to Humpback whales. His work and passion for the ocean have taken him to many other exotic locations like Maldives, Indonesia, Palau, Papua New Guinea, the Coral Sea, The Red Sea, Mexico, Tahiti, South Africa, Saudi Arabia, Hawaii... and even the freezing waters of Antarctica. See here the list of destinations where Carlos has been diving. At present he runs the Magic Sea photo library and Glowdive.com where he designs new gear for underwater photographers. 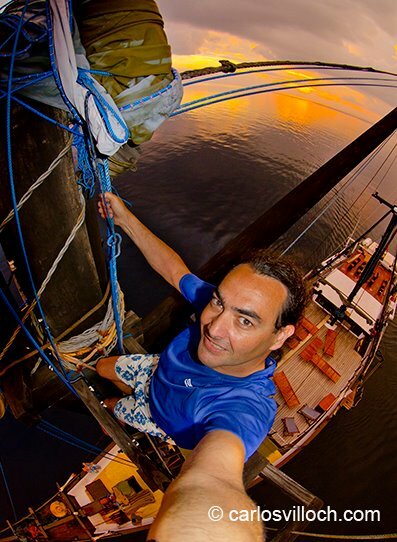 Carlos travels the globe, either on assignment for the most prestigious magazines, teaching photo seminars or looking for new subjects and destinations. 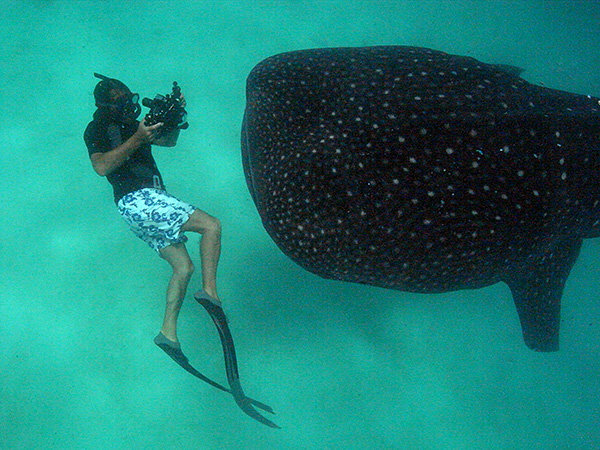 He produces hundreds of high quality new images every year and is always seeking a different angle or a new technique that will capture that precise instant of beauty under the ocean surface. 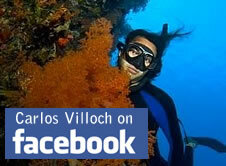 Carlos Villoch is available for underwater photo and video assignments around the world. His experience, professionalism, the quality of his images and his well travelled character are the perfect combination to make any project successful. Antibes International Underwater Image Festival - Bronze in the Trio category. You may be thinking that to be able to take all those underwater photos I must spend many hours under the sea. Well, it does take quite a lot of dedication and mostly it takes a lot of traveling to remote destinations and countless hours in boats and airports. So what do I do when I am not traveling? I work insane hours in front of a calibrated computer screen, preparing images for clients and taking care of business, probably like many of you do. So, what do I do when I am not traveling and I am not working? I have lots of fun using every spare minute to be in contact with Nature. 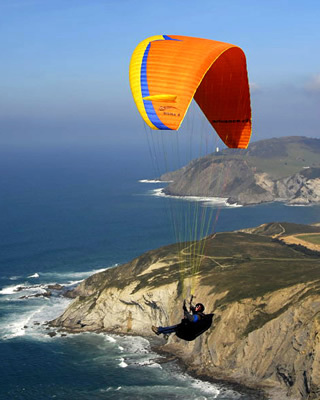 I enjoy most activities that involve being surrounded by Nature, be it hiking in a tropical jungle, surfing a remote wave or paragliging over the Alps. 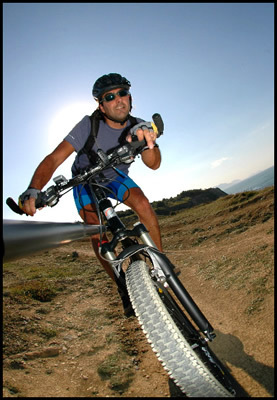 I like anything that moves with natural or human power, like bicycles. But if it works with gravity and goes fast I´ll probably love it !! I use bicycles both for fun and for transport in town. And I try to travel by bike once a year. 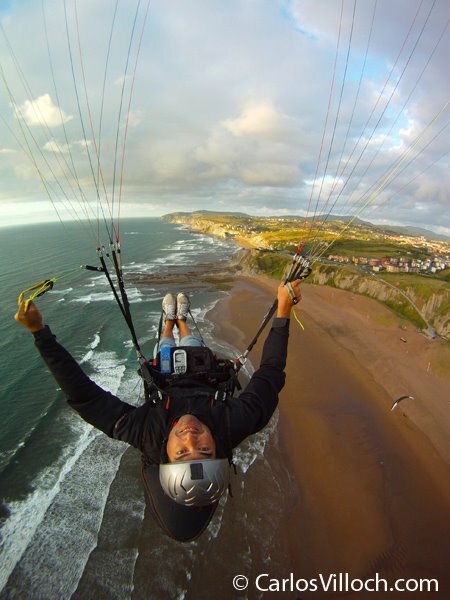 Paragliding is probbly one of the most exciting things you can do on earth, well, on air. There is something special about hanging from few lines and a piece of cloth, travelling 12.000 feet over the ground. What else... oh yeah, board sports ! Surfing... oh, if you have never gone down a breaking wave standing over a board you are missing a important highlight in life. Maybe you tried a flying carpet, but it's not the same. Living next to a sea that produces consistent good waves drawed me to surfing since I was little. Nowadays I prefer the classic longboard style from the early days. Replicating the feeling of surfing when or where there are no waves means trying to slide down any steep slope. If there is snow, we get another great sport, snowboard. I like the fast alpine boards, who most people haven't heard of. 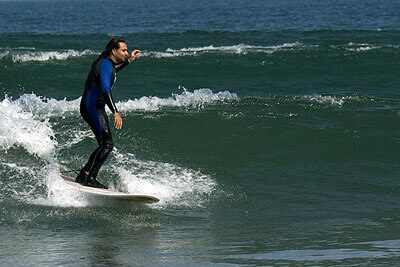 They are long, narrow and allow extreme carving turns. 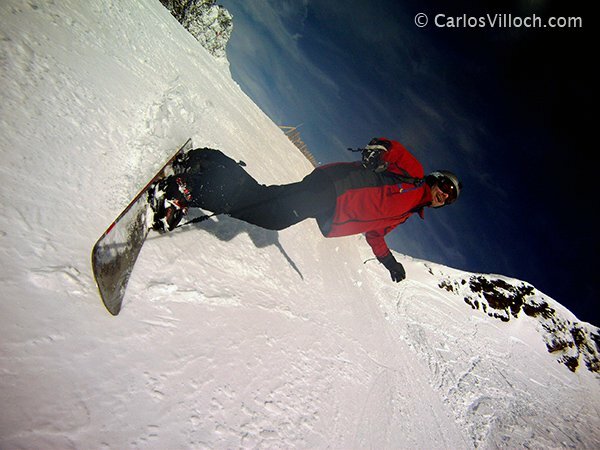 They are used with hard boots, similar to those skiers use which give total control at high speed.